What is Visual Search? And Why Should You Care About Its Impact? - Digital Jumpsuit - Marketing Agency & SEO Halifax - Call the experts!! Archie, the world’s very first search engine launched in 1990 and it was succeeded by what would become the world’s most popular search engine, Google. 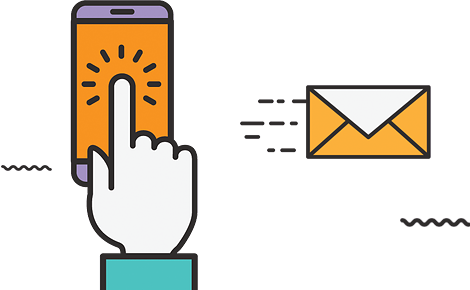 There have been many advances in personalisation, the introduction of mobile devices, language processing improvements and multimedia results which have all affected how search operates. You can now find any piece of information in any format you want more accurately than ever no matter what device is being used to search for a keyword. The biggest advancements in recent years have been by far the development of artificial intelligence and machine learning that has paved the way to what is becoming a popular search tool – Visual Search. This innovative way of searching the web has gained considerable traction in recent years and changed how we interact with images forever. Continue reading as we discuss everything you need to know about Visual Search and how it will affect the future search landscape for better or worse. So, what is Visual Search? By now, you’ve probably had some sort of interaction with Visual Search on Google but did you know that Bing and Pinterest are pursuing it too? It is also being integrated into retail apps at a rapidly expanding rate as more brands hop on the bandwagon. It has been proven to be a feature that a lot of consumers and customers want, so it’s no wonder that companies are so readily adopting it. To be clear, the Visual Search you will have become accustomed to over the past few years is becoming smarter and the applications for it are ever growing. The technology behind Visual Search used to be confined to reverse searching an image, which would then be matched to the closest representation Google or any other search engine could find based on the alt attributes of the image. This has now evolved to the point where companies are now developing a pixel-by-pixel image search that allows users to upload an image to discover more information about it with more precision than we have ever seen in the history of Visual Search. One of the most prominent applications of this technology came in 2017 when Google launched Google Lens. It’s an AI-powered Visual Search tool that makes use of deep machine learning that can not only detect individual objects but also understands what the object is and offers suggestions based on this information. Visual Search is still in its infancy but it has seen a significant increase in usage over the past few years as smartphone technology gets better and users need for instant and relevant information becomes more of a priority. In fact, 27% of all searches across the world’s most popular search engines is made up of image searches according to Moz, who conducted a study in 2017. A recent Pinterest report also suggested that there were 600million combined monthly searches using its Lens technology in February 2018 which shows how strong the market for Lens based search engines is becoming. But, why do people use Visual Search? The answer is simply impatience. Consumers are used to having information as soon as they ask for it and this need for speed has increased exponentially over the past few years. The advantage of Visual Search is that it provides instant gratification for users and delivers the information they want in an instant. Visual Search allows users to search for a review of a product, what trees are in the area and similar restaurants all by just uploading a photo of one object. This process takes mere seconds to accomplish the same results as regular searching would allow for after a period of searching for the right keyword. Of course, it’s not all down to our impatience. Humans are visual creatures and images appeal more to our sense than plain text, which is why we are so engaged by sharing photos on social media and watching video content online, on TV or at the movies. This is backed up by the fact that 90% of all of the information transmitted to the human brain is visual, according to a study conducted by MIT. Visual Search is also much more interactive than traditional search which makes it more fun and engaging to use and allows users to experiment with the way they interact with the world and the internet without going through the same process as they would through text-based search. It’s no wonder then that 62% of millennials enjoy visual search over any other new technology that is coming to light in 2018. How is Visual Search impacting your SEO? Well, Google’s main goal is to provide its users with the most accurate information to satisfy their search queries and is spending significant resources on developing their technology to provide this service. Just like traditional search, Visual Search has this objective and as it develops more and becomes accessible to more and more consumers, it becomes necessary for companies to optimise the visual assets on their website. This optimisation is particularly important for retail companies as there is a rapidly growing number of customers that take part in a practice known as “reverse showrooming.” If you’re unfamiliar with this practice, it is the process of visiting showrooms to view products that they plan to buy online, for a lower cost, at a later date. Luckily, much of the current optimisation you currently do will apply to this, including the use of alt-tags, schema markup and metadata. 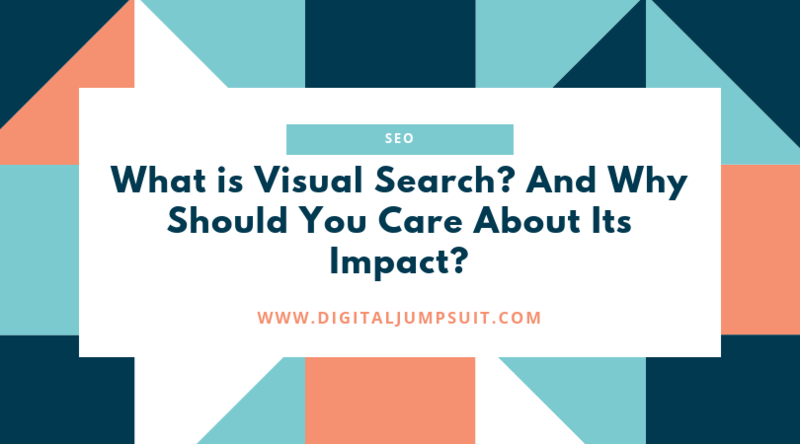 However, the latter will have a significant influence over your SEO for Visual Search despite the forthcoming changes to search engines and the way we interact with them. This is simply because an image’s metadata contains the information of both the website it is uploaded to and the image itself. It is still a criterion that search engines use to decide what a particular entity (text, image, video) is and how it relates to the other objects that it has crawled, indexed and ranked previously. Obviously, Visual Search will probably never make text-based searches become extinct, it will likely gain enough traction to become just as popular as its predecessor. Therefore, it is crucial that you fine-tune all of your SEO techniques and make sure that they are as up-to-date as possible so your content remains relevant and keeps up with the ever-evolving search landscape. This is all great information but what steps can I take to optimise for Visual Search? Below are eight actionable steps you can take to prepare your content for Visual Search and ensure you are ahead of the curve. You may not see any benefit immediately but you certainly will in the future as Visual Search develops more. Add more than one image of each product or topic page to increase signals. Utilise raster images and include text that has a call-to-action within the images. Add images to your Websites XML sitemap to keep products up-to-date. Maintain a strong website hierarchy through strategic internal linking. Host your images on authoritative pages that respond to user intent. Use keyword categories to optimise alt tags, titles and captions. Create your own unique brand aesthetic that people will link to your business. Edit stock images so they are not the same as others who are using them. Okay, so now you’ve seen that Visual Search is the most exciting search innovation of the 21stcentury, what’s next? There are still lots of improvements being made to visual search every single day but there is no denying how much of an impact this technology is having on consumer behaviour. This means that you should consider revitalising your visual content marketing and optimise your images to avoid being left behind as this technology grows. SEO packages from £99 per month! Are you looking for affordable SEO services for your new or existing online business? Digital Jumpsuit offers an excellent service that provides you with all your online marketing needs from just £99.